This pastry cutter lets you achieve the same finish on pies and pastries as top TV chefs. You have seen them with their knives quickly go around a pastry or pie . Just roll the blade around the edge for the same result. If you make your own pasta or biscuits, cut it with the pastry wheel to get the effect of expensive equipment. Even if you do not cook, the pastry cutter is for you. Create an edge when cutting pizza or sliced bread to create funky mini sandwiches or interesting gourmet toast. 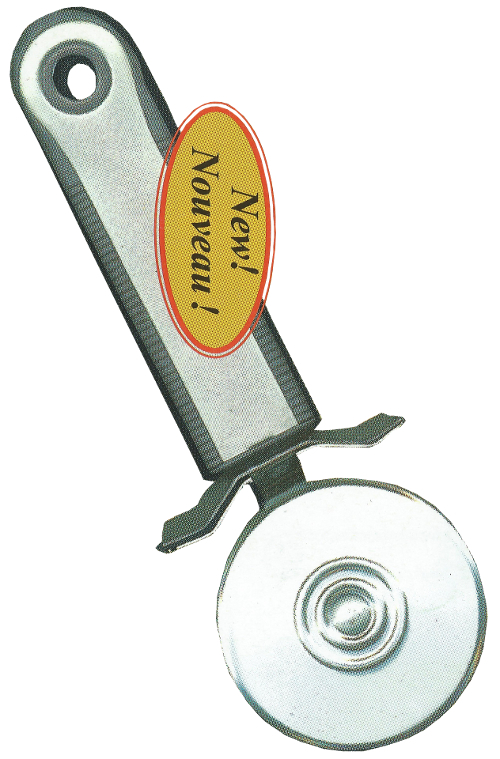 The pastry cutter is built to last with super strong die cast zinc alloy construction. It is also easily washed up in the sink. Creating the finish of a top TV chef is as easy as sending off an internet order. Pastry Cutter text, images and video are copyright.